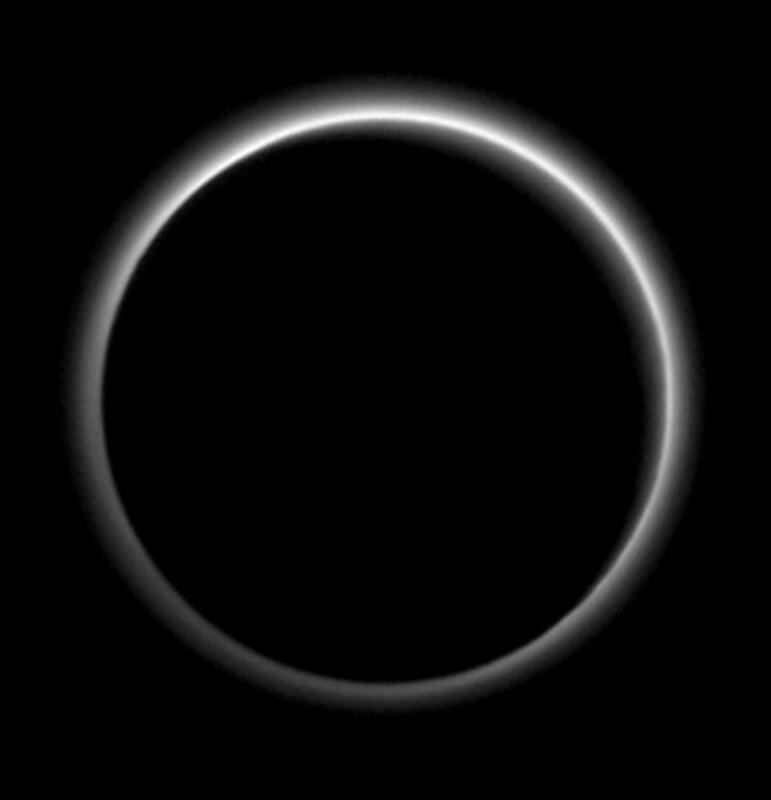 After a series of breathtaking images of Pluto’s surface, it’s the dwarf planet’s silhouette that’s proving to be the most stunning. 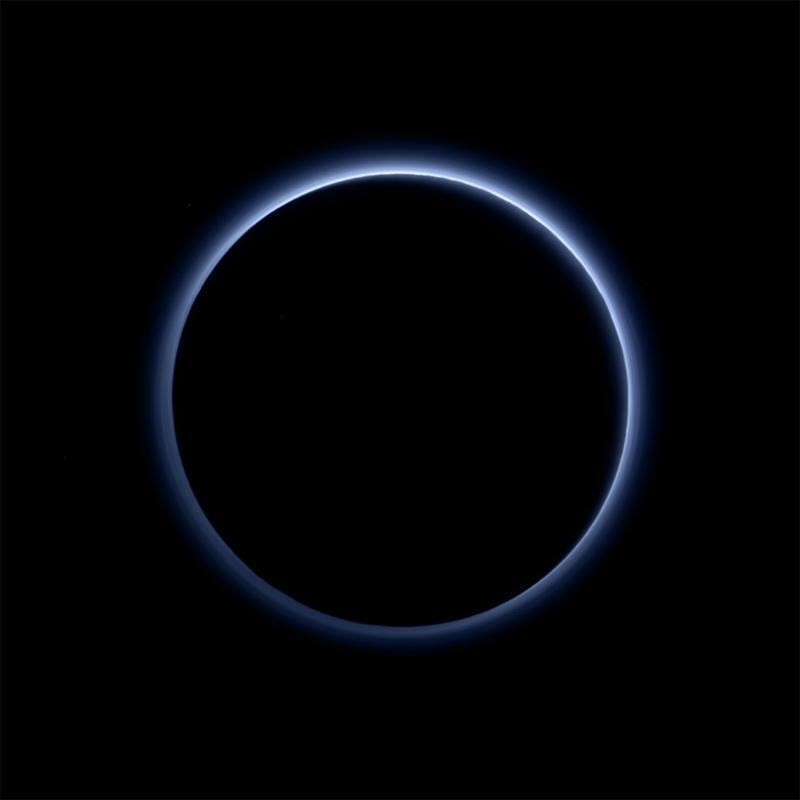 NASA’s New Horizons sent back a new color image of Pluto’s atmosphere, and although it looks like viral marketing for the upcoming Rings movie, it actually reveals quite a bit: namely, scientists still know very little about our distant neighbor. 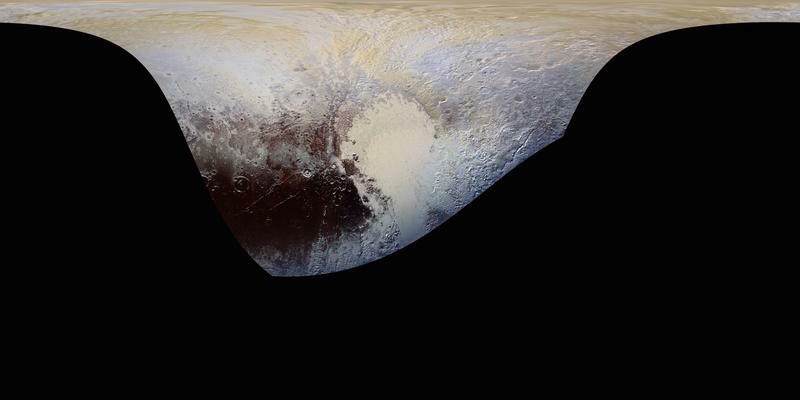 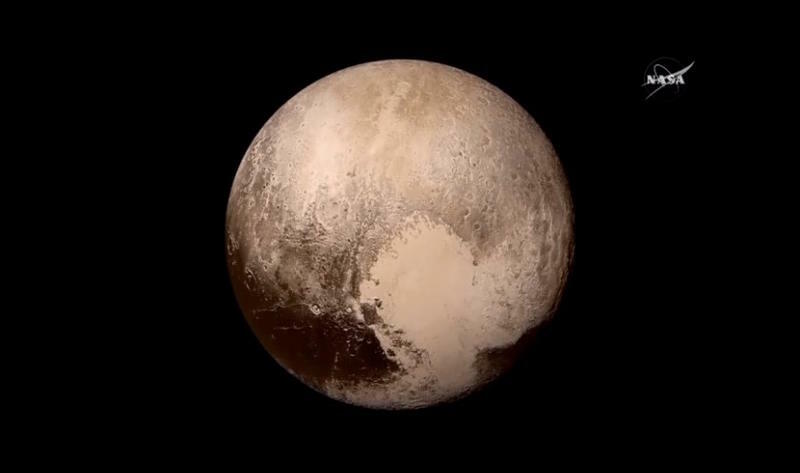 The image you see above was snapped by New Horizons’ Ralph color camera system, and shows us an amazing view of Pluto following the spacecraft’s successful flyby this past summer. 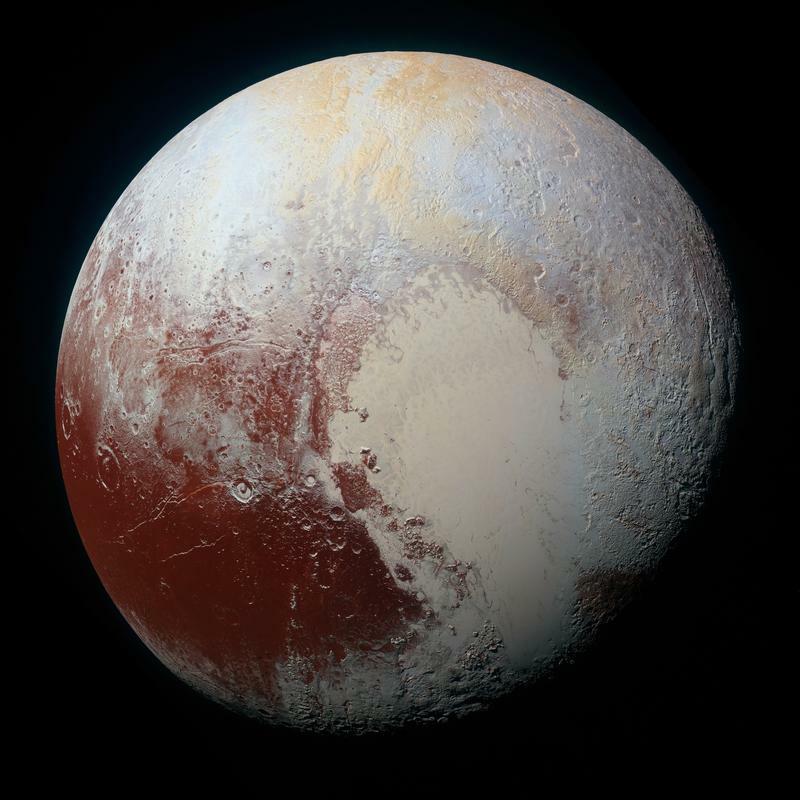 As you can see by the blueish hue, scientists believe if you were to look up toward the sky from the planet’s surface, it would be blue. 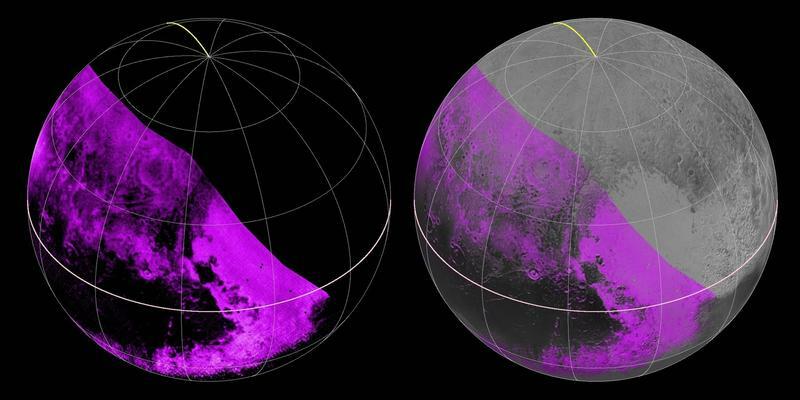 Scientists say the color is the result of the way sunlight is scattered by haze particles. 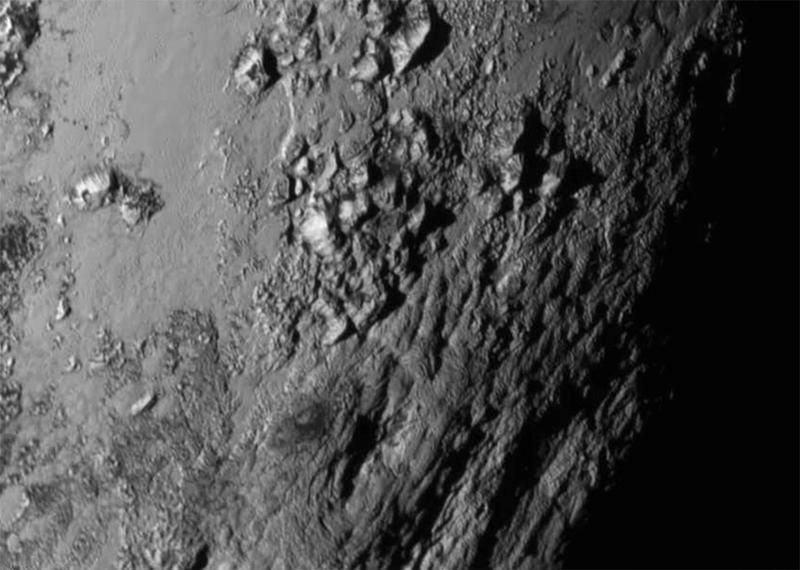 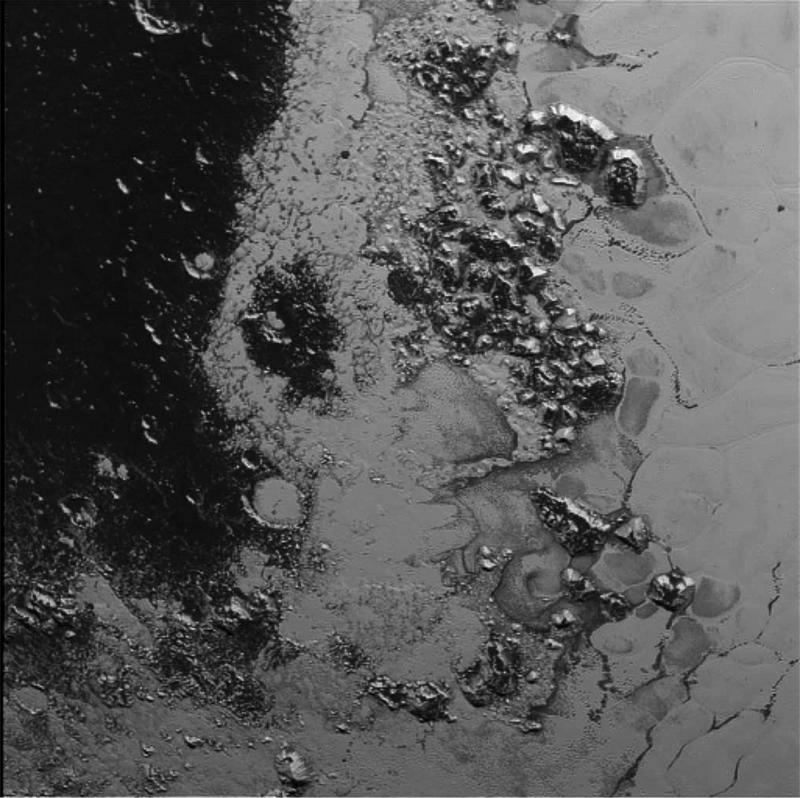 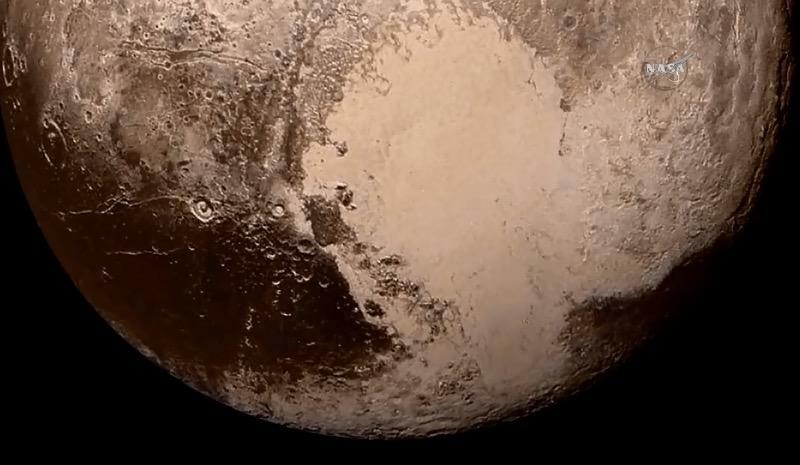 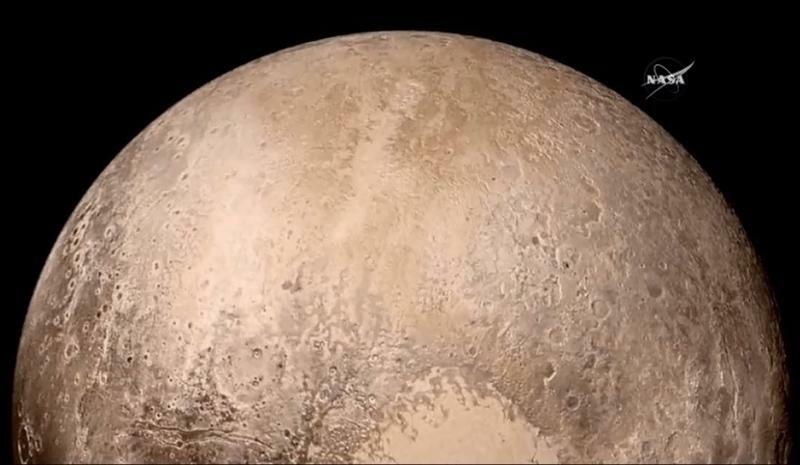 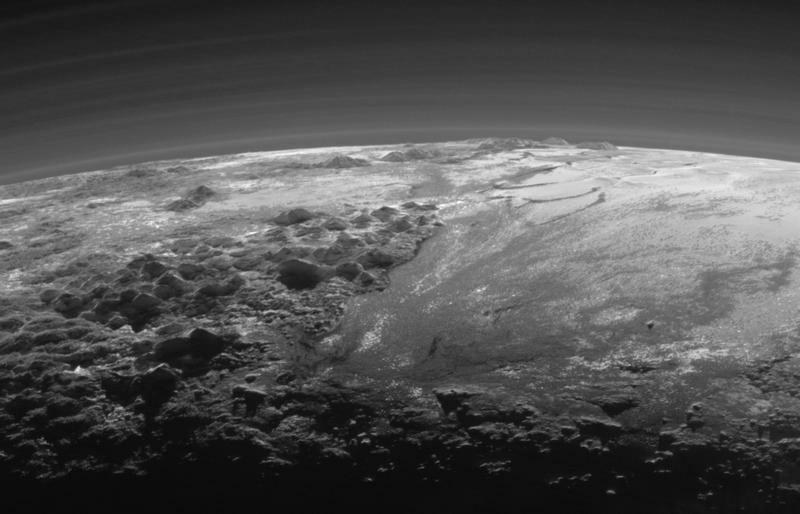 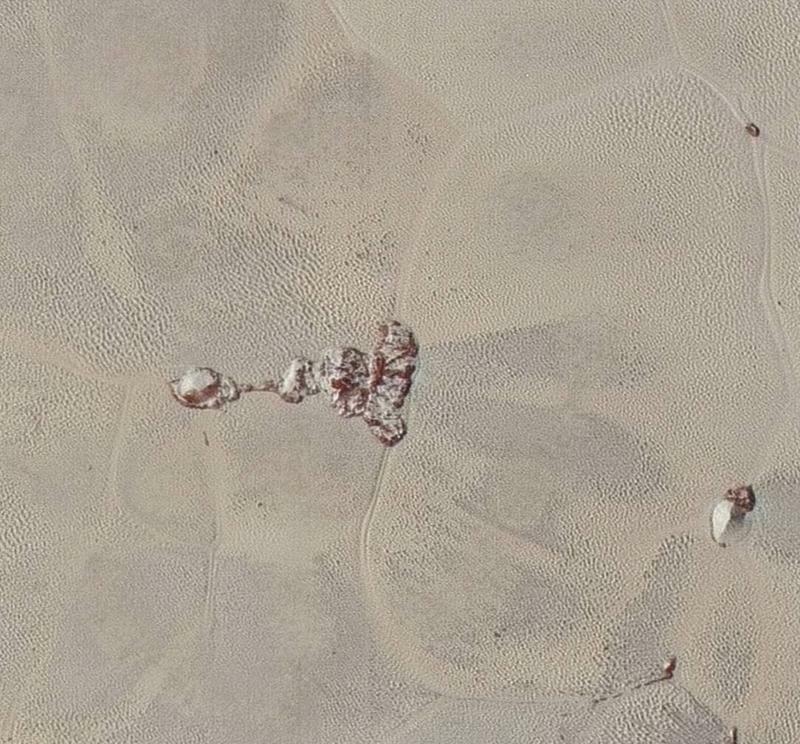 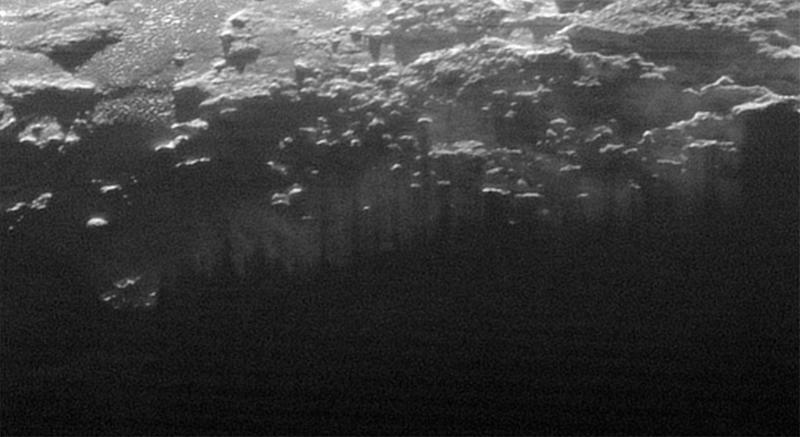 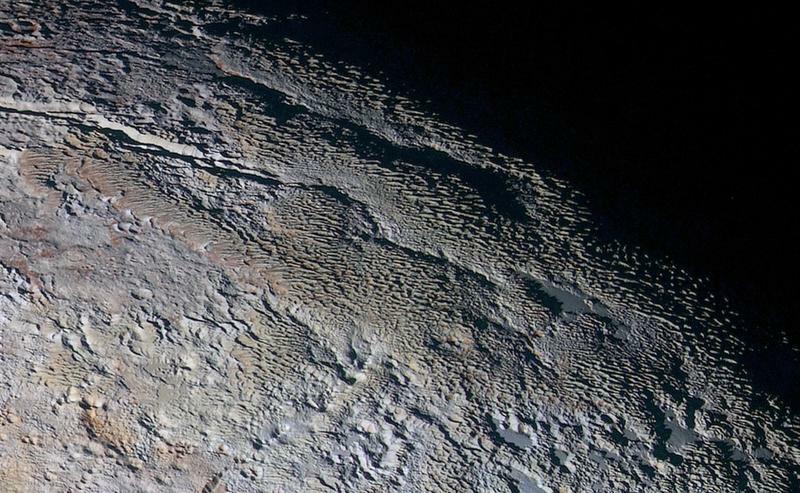 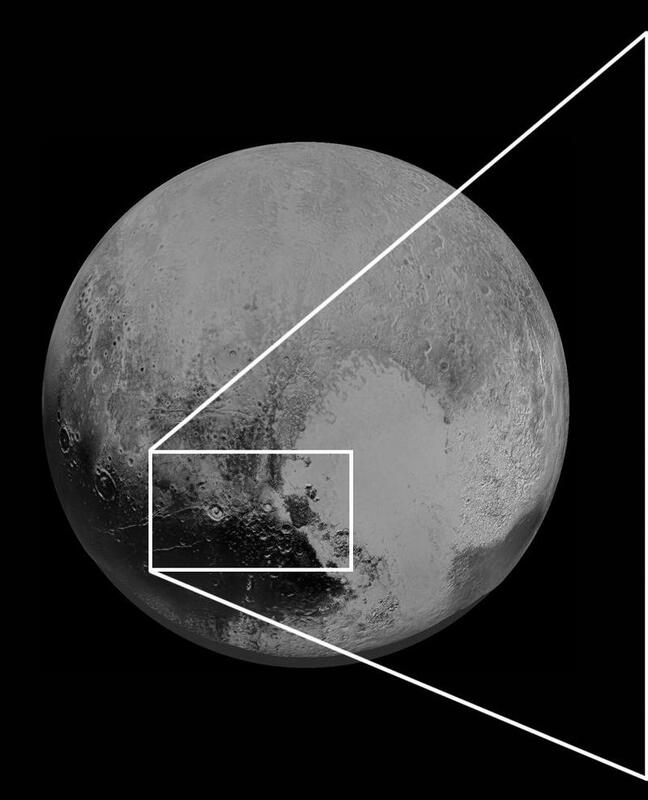 NASA also revealed that new data has revealed numerous small, exposed regions of water ice on Pluto. 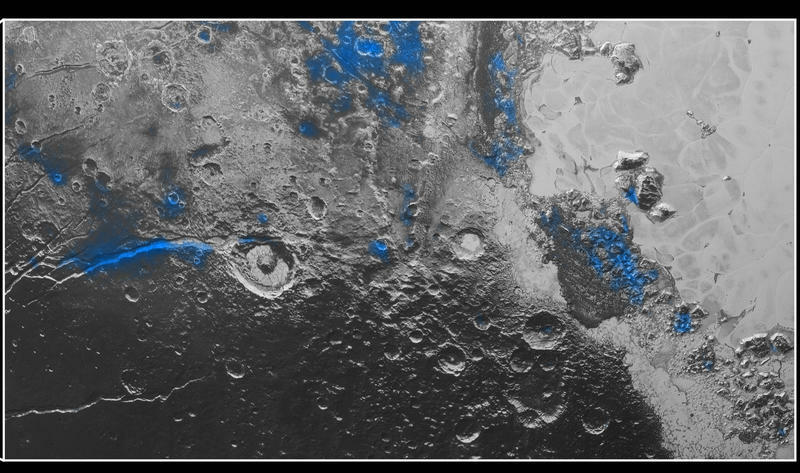 The agency said much of the planet doesn’t show exposed water ice, because they’re masked by more “volatile ices across most of the planet.” Curiously, NASA says that the water ice shows up as red in many of its most recent color images. 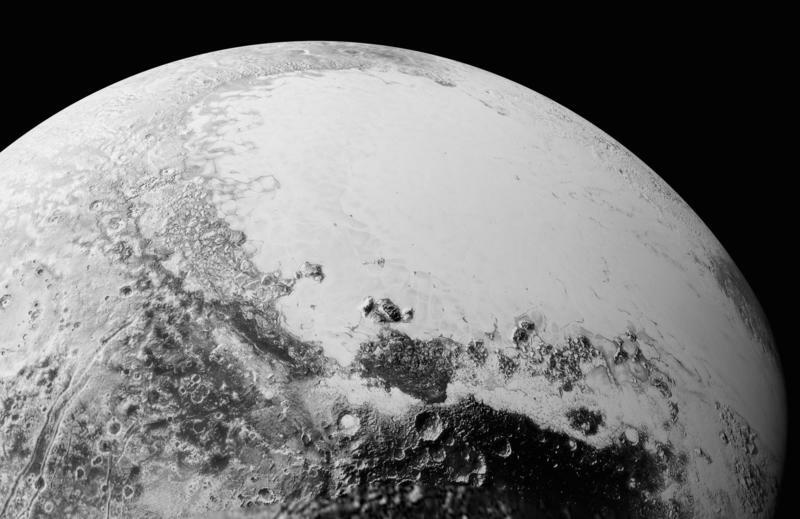 You can check out the new images above, along with some of the older images of Pluto already sent back by New Horizons.